DIRECTOR SERGIO M. RAPU ATTENDING! 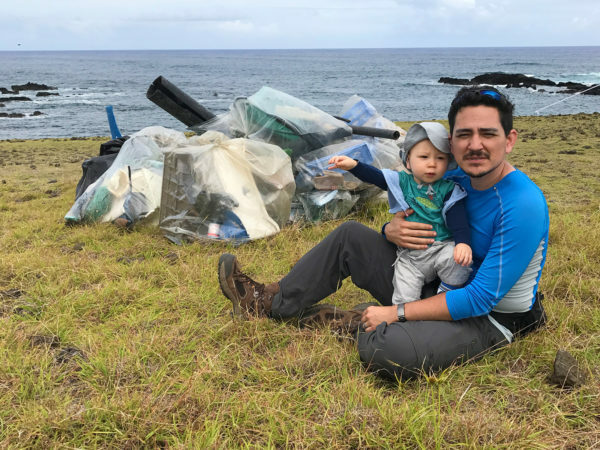 Twin Cities filmmaker Sergio M. Rapu sets his gaze on his homeland in Eating Up Easter, where the Rapanui community faces an environmental collapse due to overwhelming tourism and industrial progress. Rapu himself serves as a narrator, describing to his son the depth of Easter Island’s plight and the dilemma of the people who live there. Struggling to keep up with a land that refuses to slow down, the film features other locals making the best of an impossible situation: an ecologist who attempts to temper the rising waste crisis that affects both the island and the shores that surround it, a pair of musicians trying to establish a free music school that may help to preserve cultural traditions, and finally, Rapu’s father, the island’s former Governor, who is caught between responsibility to generations of culture and the ever-growing demands of industry. Filmmaker Sergio M. Rapu is originally from Easter Island, now lives in the Twin Cities, and has worked in the industry for nearly two decades. Along with Eating Up Easter, he has worked for several television programs such as the History Channel, The Travel Channel and National Geographic.